DuCharme is Rising and Taking Reservations! 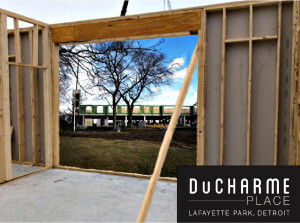 DuCharme Place, located at 1544 E Lafayette St in Detroit, is now accepting refundable deposits which will secure your place on the Waiting List to pick your residence in early spring. A majority of the Building One units are now reserved.